The 50th Anniversary Sports Illustrated Swimsuit Issue is out and we’re taking notice of something other than the girls’… ummm… behinds. Just check out the luscious locks of Lily Aldridge, Nina Agdal and Chrissy Teigen on the cover. Tracey Cunningham, Redken Creative Consultant for Color, shares with us how she created Lily’s and Chrissy’s amazing color – and how you can get it too! To create their natural, sun-kissed tresses, Tracey used Redken Flash Lift, Chromatics and Shades EQ. “Shades EQ is the hair color that thinks it’s a conditioner! I am a firm believer in maintaining healthy hair while coloring, which is why I use Shades EQ on all my clients,” says Tracey. 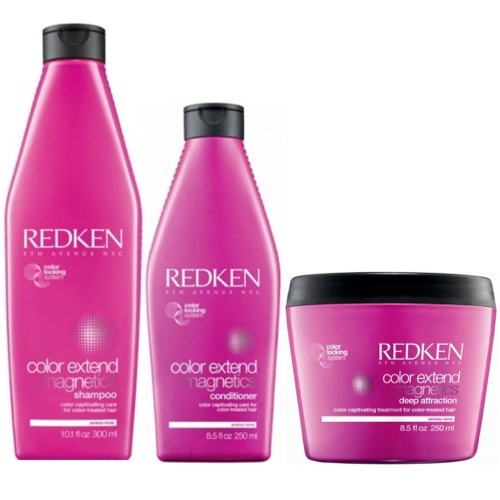 HOT TIP: Maintain your coveted color at home with NEW Redken Color Extend Magnetics haircare line, which fortifies and seals in color to make it last longer. Whose hair color do you like the best?